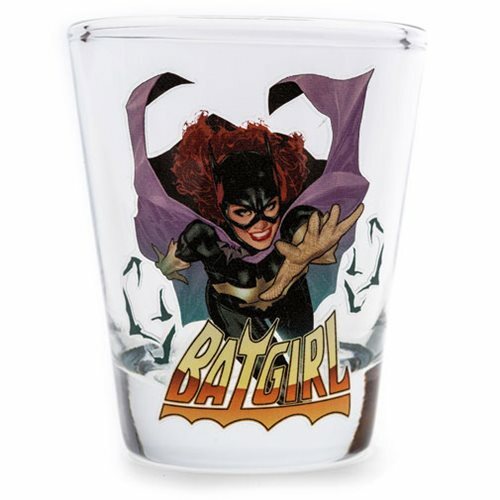 DC Comics' Batgirl is now on a shot glass! This beautiful, heavy-duty Batman Batgirl Shot Glass features Batgirl in action! PopFun's expanding line of mini glasses features large images, brilliant colors, and more of your favorite comic and cartoon characters than any other line of glassware. Measures about 2 1/2-inches tall and holds up to 1 ounce of liquid. Hand wash only. Not dishwasher safe. Do not microwave. Ages 14 and up.